This Friday, 15th April, I’ll be crossing the country to play with my good friend and amazing musician Carl Mackey at the Paris Cat Loft. We’ll be joined by a killer line up – Grant Windsor on Piano, Tamara Murphy on Bass and Hugh Harvey on drums. In Melbourne and want to join us? http://pennykingjazz.com/wp-content/uploads/2012/11/Penny-King-Logo-300x96.png 0 0 pennyking http://pennykingjazz.com/wp-content/uploads/2012/11/Penny-King-Logo-300x96.png pennyking2016-04-12 23:58:082016-04-12 23:58:083 Days to go - Penny King and Carl Mackey at the Paris Cat Loft! TONIGHT! 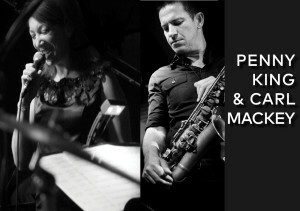 Ellington Jazz Club Penny King Quintet @ The Ellington Jazz Club Tomorrow Night!